The diner is a uniquely American concept; it’s everyone’s kitchen with something to please all who walk through its’ doors. 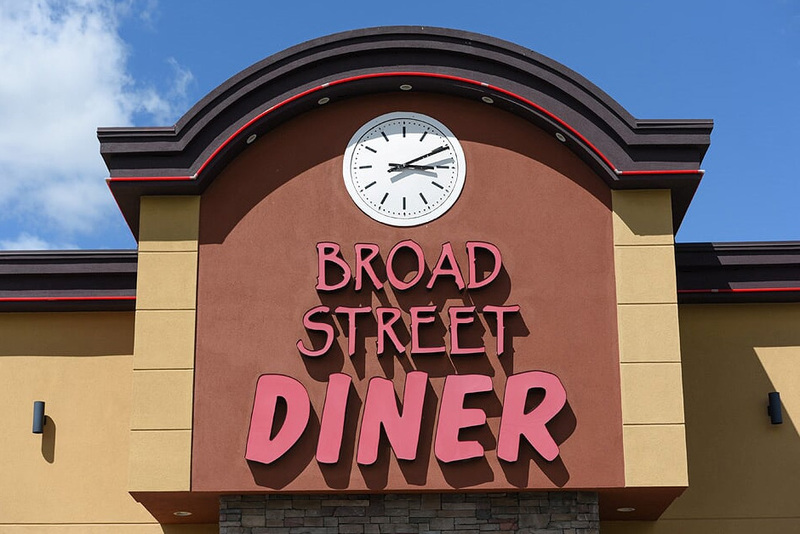 BROAD STREET DINER offers delicious food and a welcoming atmosphere with a menu to please everyone. We’re a great place to enjoy breakfast served all day, tempting daily specials, burgers, sandwiches, chicken, beef and seafood entrees, mouth-watering homemade desserts, fountain treats and so much more! Our extensive selection features classic diner favorites and international specialties, as well as many health-conscious options, including low-fat foods. Open 24 hours for your convenience. On your way to work or in a hurry? Everything on our menu is available to go – just call or stop by.